President Theodore Roosevelt embarked on a nine and a half week journey across the North American continent in April of 1903. The Pennsylvania Railroad Company provided a special six-car train, decorated and equipped for a 14,000 mile cross-country journey. 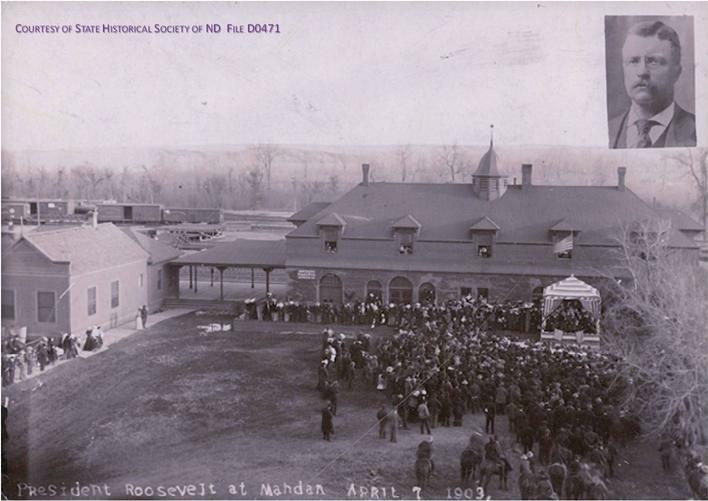 Mandan was one of five stops included in North Dakota. 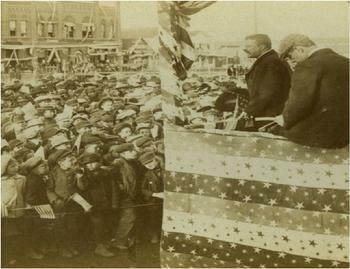 Roosevelt wanted to personally talk to people and give an account of his previous term in office. 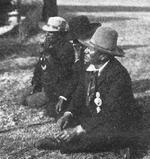 It was also an opportunity for him to visit Yellowstone National Park accompanied by the famous naturalist John Burroughs. Leaving Washington, DC on 1 April 1903, he arrived in North Dakota six days later. Fargo was his first and longest stop in the state. Arriving early in the morning, he was escorted to the business district where he was greeted by several thousand children. From a stand in front of the Waldorf Hotel, Roosevelt discussed his administration’s Philippine policy. The train's subsequent stop for approximately 30 minutes in Jamestown. 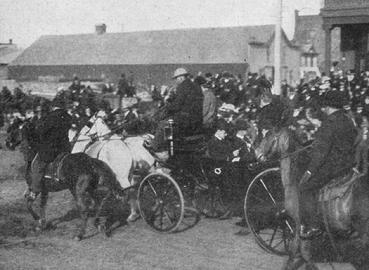 In Bismarck, President Roosevelt shuttled by carriage to the Capitol where he repeated much of his speech from Fargo, was greeted by chiefs and other members of area Native American tribes and was treated to a barbeque of ox and apple cider. The final destination on April 7th was a half-hour stop in Medora. 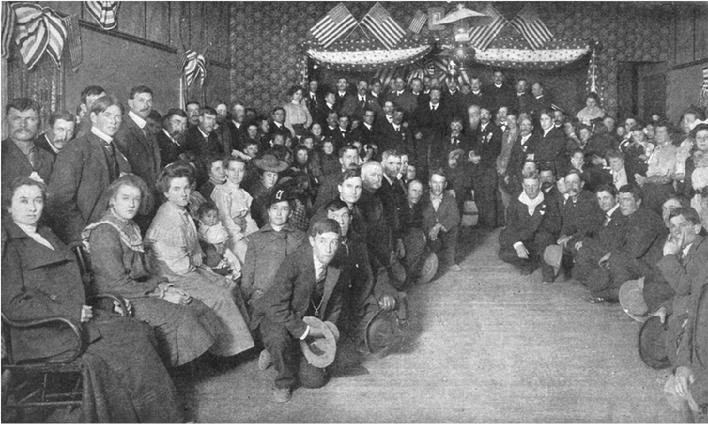 Arriving after dark, Roosevelt later recalled that “the entire population of the Badlands down to the smallest baby had gathered to meet me… They all felt I was their man, their old friend; and even if they had been hostile to me in the old days when we were divided by the sinister bickering and jealousies and hatreds of all frontier communities, they now firmly believed they had always been my staunch friends and admirers." Roosevelt continued, “I shook hands with them all and…I only regretted that I could not spend three hours with them." The President would return to his traincar for the night and the trip on to his next destination.